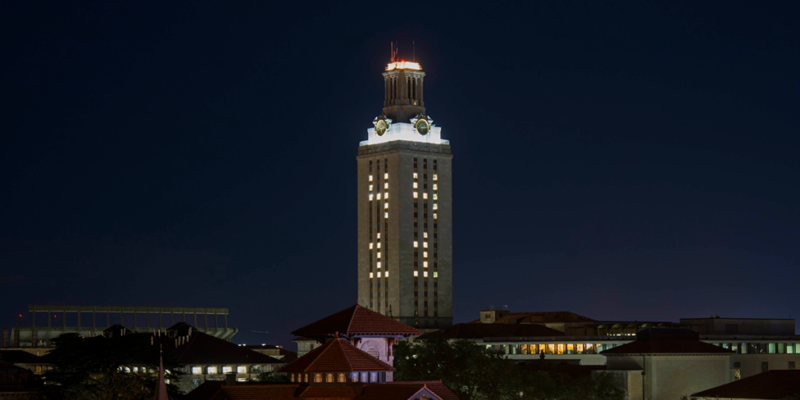 The UT Tower will be darkened Wednesday, December 5 with the number 41 lighted in the windows to celebrate the life and legacy of the 41st President of the United States, George H.W. Bush. Earlier in the day, the university observed a moment of silence followed by the hourly Tower bell chime and a special concert performed on the Carillon.